"Hey, I know this song! Isn't this from...The Legend of Zelda!?" "Wait, why are you listening to music from The Legend of Zelda?" Fans of videogame music (well, the non-closet variety) will tell you that they've been through situations much like this one countless times. That's understandable; they all realize that it's a pretty tall order to ask the layperson to approach the music of videogames as its own valid genre. But, flipping through playlists of fan remixes, professionally arranged covers, original soundtracks, and even chiptunes is just as natural for the game music fan as changing the radio station would be for the layperson. For them, game music is a completely valid genre of music, complete with its own mega-stars, top sellers, and underground faves. These fans also know that the layperson would be surprised to find that this music has developed its own culture. Game music has its own concerts, fan events, stores, internet communities, and just about everything else a healthy music genre would support. But, game music has the unique position of being open to incredible growth. After all, the source does originate from videogames, the biggest form of entertainment. Even with all of that said, our typical "is this Zelda?" layperson still doesn't understand how one could simply chose and enjoy game music as a genre. They may not understand how to acquire game music. They may wonder who else is listening to this? And usually, they don't see why they should listen to this over their preferred type of music. Others may have come across a song or two, but may not fully grasp how much is really out there. It's not that far of a leap from gamer to game music fan, but some still have trouble understanding how the transition is made. My goal here is to give some background on the world of game music, in hopes that curious people and potential fans will gain a better understanding of why so many fans have chosen this as their favorite genre. Who knows? Before it's all said and done, you could find yourself crusing down the street with the windowns rolled down, blaring Yuzo Koshiro for all the world to hear. Where did game music start to be a genre of music? Hell if I know! But I'm sure the fandom started right after the first good game music song was composed and implemented. My guess is that this was a very long time ago. It wasn't until the mid 1980's that game music albums started to see releases, but game music fans aren't the type to wait for releases anyway. I know there are fans out there of the ZX Spectrum sound. There's people out there that adore the unmistakable tones of the Commodore 64, and the music still has a very solid following. I once had a guy tell me that he wants Amiga tunes played at his funeral -- I believed him! The majority of game music fans I've met cite the 8 and 16-bit game consoles as the source of their love. For gamers in their 20's and 30's, it's hard to deny the nostalgia felt when hearing the music of the Nintendo Entertainment System music in it's pure, raw form. It's not hard to believe; those tunes were driven into our heads during the countless hours we spent in front of the television. These songs are the songs of our childhood. Popularity received a big boost from the 16-bit console age. The quality of the original score benefited from the soundchip of these new consoles, and epic scores from Super Nintendo games like Chrono Trigger (Yasunori Mitsuda), Final Fantasy IV, and Final Fantasy VI (Nobuo Uematsu) didn't hurt either. Of course, these soundtracks were beautifully contrasted by the synth sound of many Sega Genesis games, and scores like Yuzo Koshiro's Streets of Rage 2 still stand the test of time as one of the best to date. They make CDs of this stuff? It's not all computer chip noises. Back in the mid-1980's, Namco released a collection called Video Game Music on cassette and LP. It contained the soundtracks of games like Pac-Man, Galaga, and Dig Dug. 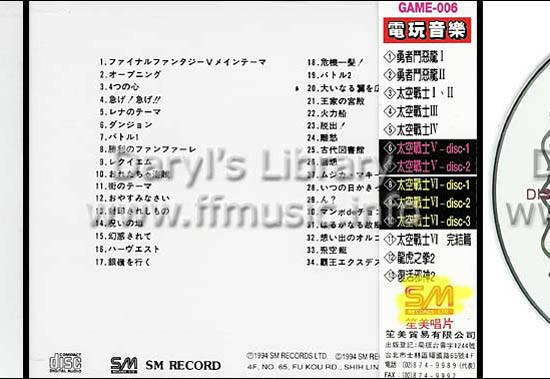 By 1987, thirty-nine game soundtracks were released, including Dragon Quest In Concert, a live orchestral recording of music from the Dragon Quest games. This was performed by the Tokyo Strings Ensemble in Tokyo's Suntory Hall. Maybe it was this recording that kicked things off. Chris Kohler's book Power Up does a wonderful job of detailing the early days of game music albums. Today, game soundtracks are sold in Japanese music stores alongside genres like pop and rock. For an outsider, that's pretty hard to believe, and that's totally understandable. But game, anime, and TV tracks actually chart in Japan, and vocal pieces often become singles. 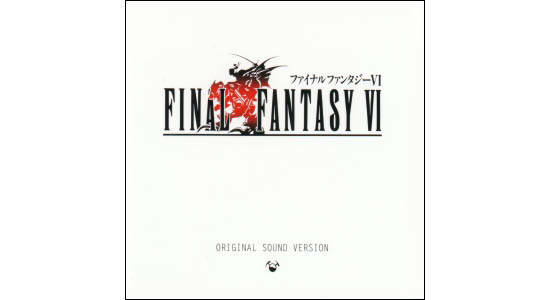 The Final Fantasy VIII theme song "Eyes on Me" by Faye Wong hit #9 on the Oricon charts and stayed on them for twenty weeks. More recently, "Tsukino Akari - Final Fantasy IV Theme of Love," performed by Megumi Ida has received a J-pop makeover, and is enjoying solid sales in Japan. 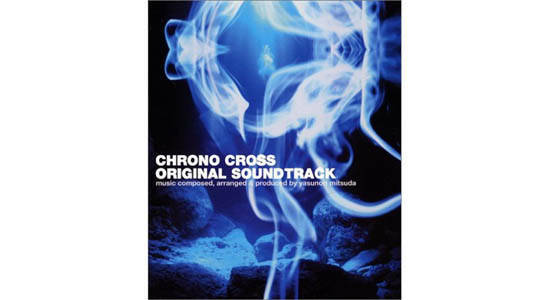 Albums are often released as OSTs (original sound tracks), featuring music exactly as you'd hear it in the actual game. Just about everything from hit console role-playing epics to portable puzzle games get a full soundtrack these days. Many popular titles also receive an arranged version, which could range from live orchestra performances to full-on rock bands -- and everything in between. These soundtracks are released on labels ranging from developer's in-house groups, to major Japanese labels like Avex and Warner. In Japan, these albums and singles are priced similarly to their pop and rock counterparts, though availablity is usually more limited. Even though Japan is the main source for these albums, the music is still accessible to fans outside the island country. If you want these CDs, the internet is packed with Web stores that sell albums. Both Gamemusic.com and CD Japan are often recommended, and Play-Asia is also good, though selection is sometimes limited. Be careful of buying CDs outside recommended outlets; there are several distributors of fake game music soundtracks. At first, this may sound odd to the outsider, but when you see how limited some of the CD runs are, these fake distributors stand to make a decent profit fooling people. Beware labels like SonMay, EverAnime, and Alion. Steer clear of anything with Chinese text, and avoid anything that says "made in Taiwan." The majority of these albums are made in Japan. At a distance, a SonMay CD may look the same, but up close you'll easily see the difference in quality. You won't want to find out that that Perfect Selection Dracula CD that would've been worth hundreds of dollars is really a $8 knock-off. For the collector, many game music albums see a limited edition release. They range from a simple slip case for the jewel case, to large and elaborate boxsets costing hundreds of dollars. I've seen older boxes go for over $500! Not ready for CDs yet? You might be surprised to hear that much of the official stuff is also available for download. Apple's iTunes has just about everything Final Fantasy that I can think of, and even though you don't get the pretty cases and booklets, you do save a pretty penny in the end. Don't think you need to be rich to be a game music fan, because you really don't. Almost none of the game albums are domestically available anyway. There are plenty of fans out there that have never spent a cent. In fact, there are several that spend their time actually making the music themselves! I don't know exactly when, but somewhere along the line someone figured out that they could make their own version of their favorite videogame songs. My guess is that it had roots in the MOD scene, but I'm sure that a gamer found that they could plunk out the first notes of their favorite tunes, like the Super Mario Bros underworld theme, on the piano even before that. It wasn't long before musically inclined game music fans were taking their favorite songs and reperforming them for the enjoyment of others. For as long as people could trade files over the internet, game music has been passed from one fan to another. It probably started with MODs and the like, and then moved to MIDI files. But when the MP3 file format came along, these "remixers" really began to show their musical chops. If high-end, quality game music album releases are Japan's contribution to the game music culture, then remixing is probably America's contribution. That's not to say that all game music CDs come from Japan and all remixers come from America, but that's mostly how it plays out, and game music fans will echo this sentiment. It wasn't long before fan arrangements started making their way into the traded files alongside the official game music albums, and some of these arrangers (called "remixers") started making a name for themselves. Eventually, fans sites were built, and "microstars," as one Salon.com article put it, were born. The largest site of this type is called Overclocked Remix. Originally, it was a little site where owner David Lloyd would select submissions to feature, and fans could visit to nab the newest release. It was a small-time affair, and everyone seemed to know everyone else there. These days it has grown into a full-blown community and database with over 1,500 songs and thousands of members. They're now collaborating with game makers and performers to spread arranged game music to everyone who will listen. But, you can still find those old submissions from late 1999 and early 2000, tucked away in the dark corners of the Web site. There are countless gems to be found, originating from every console and gaming device possible. And the best part is that these songs are aboslutely free, and the only work you'll have to put in is finding your favorite artists and songs. Of course, Overclocked Remix isn't the only source of remixes. Those that didn't like submitting their works to OCR's strict panel of judges (only about 10% of submissions clear this panel) went on to form VGMix. 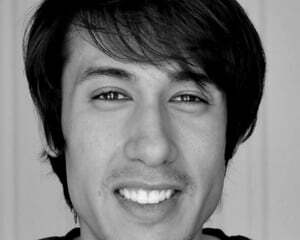 This site was founded by remixer virt, or composer Jake Kaufman, who most recently scored Contra 4 for the Nintendo DS. 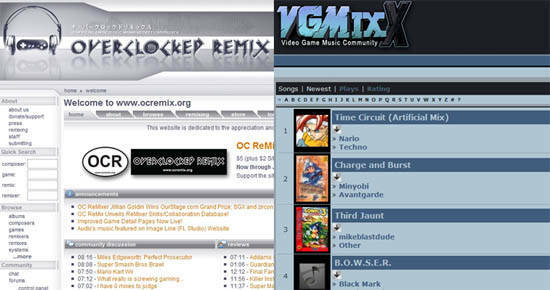 VGMix quickly became another sizable remixer community with its own following. The two sites have had their differences in the past, but have since found a middle ground. I heard the two founders recently shared a beer together. For most, these remix sites and their songs were the closest thing they'd get to Japan's album releases. But one fan wanted to get even closer to the game music album. In 1997, a fan named Stephen Kennedy decided that he would make his own arranged CD. He called it Project Majestic Mix, and it was to be a tribute to Final Fantasy series composer Nobuo Uematsu. Kennedy worked for years to try to contact Mr. Uematsu to acquire the rights to legally do so. This labor of love was appreciated by game music fans, and in the end these fans donated over $40,000 to pay for production costs and royalty fees, all to see Project Majestic Mix finally released. After several years, it was released in both a standard form and in a limited edition, two-disc set. Even though it was not an official studio release, Project Majestic Mix saw solid sales, and collectors snapped copies up. One of the limited edition sets, signed by all the contributors, sold for almost $400 in an auction. Project Majestic Mix made waves in the gaming world, and saw coverage in several gaming publications and Web sites. This press fueled a second release, called Squaredance. This was a two-disc collection of Squaresoft songs that underwent a dance treatment. This album was produced by two remixers and contributors to the original Project Majestic Mix project, Dale North and Mustin. These two co-founded a company called OneUp Studios, which would go on to license and release over a dozen more albums, selling tens of thousands of copies worldwide. They also formed a band called The OneUps, and this band continues to perform nationwide at gaming events. As much as I would love for you to believe that The OneUps are the one and only game music band out there, the reality is that there are countless others. All it took was for these fans and remixers to realize that they could make music together and take out into the world and away from computers and mp3 players. One of the oldest and most popular is the NES-only fan favorite The Minibosses. Slightly older, but equally NES-tastic is The Advantage, founded in 1988. Another good fit for this group is The NESkimos. Press coverage and big gigs have propelled game music bands into the spotlight, and now there's a whole range of music to be found. 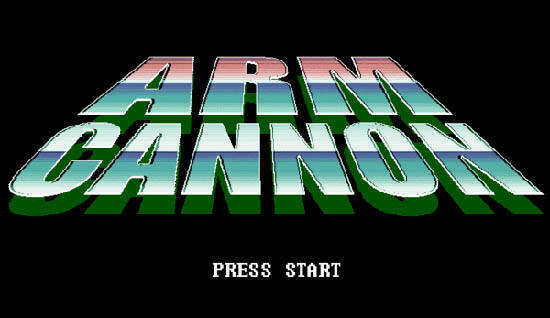 One of the most well-rounded (and a personal favorite) is the five piece band named Armcannon. Listening to Powerglove will make you that much more metal. Select Start is their polar opposite, opting for classic instruments instead of guitars. Wave Theory/Planet Skill is all electronic and always brilliant. And the Smash Bros. are made up of remixing's elite - and they love bacon. In the past decade, an amazing wealth of game bands have popped up. There's one out there for every taste, and new ones are forming all the time. The best part is that most of these bands are friendly with each other, and although they hail from different places, its not uncommon for them to headline performances together. While these videogame bands sometimes land a big gig, they usually play for part of a local bar's cover charge, and hope to get some free beers thrown in. These small performances were a far cry from the fully orchestrated concert hall performance of Japan, but we had to make do with them, as these concert tours never left Japan. Then, in 2004, a United States concert tour called Dear Friends: Music From Final Fantasy kicked off in Los Angeles. The debut performance sold out, and fans continue to rave about performance of this set. Since then, orchestral game music concerts have been on the rise, and game music fans are not complaining in the slightest. Both Play! 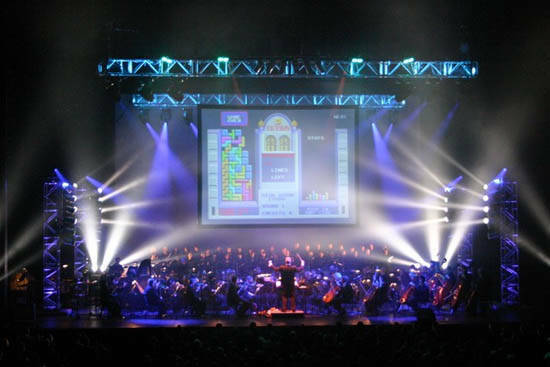 A Video Game Symphony and Video Games Live continue to tour the United States and beyond, both rocking American concert halls like never before. I think that these groups found out that the fans were already there, just waiting for events like this to attend. With all of these albums, remixers, bands, and concerts, it might be difficult for potential fans to find a place to start. I can only help by giving my recommendations. Please use them as a starting point to find what you'd like to listen to. You'll find the best stuff by poking around for yourself. Say what you will about the game, but the original score is incredible. This two-disc set has been reprinted several times, and is easily available. Again, you may have hated the game, but this arranged soundtrack contains stellar versions of the best songs from the four-disc OST. Powerful music in a beautiful casing. Some of Mitsuda's finest. This rare Playstation 1 game had some of the craziest music out there, and the CD makes for a great listen if you can find it. because he's insanely talented. Guitarist Ailsean has more fans than anyone I know, and for good reason. And Mustin is a household name when it comes to remixing, as is Mazedude. I have a lot of favorites to share. Star Salzman never fails to impress. Po's music is addictive and catchy. Goat rocks. Zyko's music soars. I hate Kunal -- he's too good. Zircon is a badass. Kaijin will make you cry. Joshua Morse is always on my playlists. Diggi Dis is incredible. And finally Dhsu is a better pianist that Martin Leung. Oh, and there's this Dale North guy. He's alright, but I'd steer clear of the insane flash videos associated with some of his music. conventions book game music bands often. Ask around, there's always something going on. for game music fans to attend. bigger and better this year -- trust me. 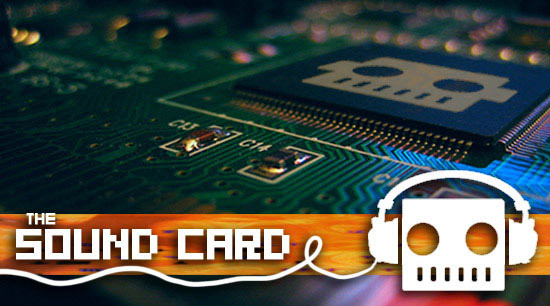 If you haven't guessed, The Sound Card is Destructoid's regular game music/audio feature. Be on the lookout for more, including interviews, reviews, and event coverage. Special thanks to Topher for the amazing feature image. Feel free to comment on any additions or suggestions you might have for this primer, or any other Sound Card feature.